Todd and Peter Marcum oversee Kernel Equity. 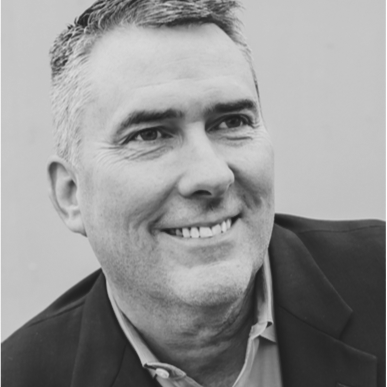 Todd has spent a career helping companies of all sizes grow their businesses in a more systematic and repeatable way. He has created and taught the theories and has applied and refined them with clients over many years. Recently, Todd led the effort at North Highland (a global management consultancy) to build a Growth and Innovation practice globally. Todd has advised over 100 of the Fortune 500 companies on the topics of growth strategy and innovation. He helped them learn to innovate and grow in a more disciplined way. Todd has worked extensively in Financial Services, Healthcare, Consumer Packaged Goods, Quick Service Restaurants, Retail and many other industries. In each industry he has worked with the major players to figure out how to differentiate themselves with customers, and against their competition. Todd has also been the ‘consultant to the consultant’ for 5 of the 6 largest management consulting firms in the world. He has coached them on growth strategy, innovation strategy, methods and capabilities. He led Doblin (now Deloitte’s Innovation Strategy group) for a decade and sold it to Monitor group, where he continued as a senior partner in their innovation strategy practice. Todd’s CPA and MBA give him a solid financial background, which he has complemented with design thinking for innovation. He teaches business students and executives (through Vanderbilt, Notre Dame and others) about design, and he teaches design students (through the Institute of Design in Chicago and soon O’More College of Design in Franklin, TN) about business, with the goal of integrating the disciplines for innovation. Representative clients include Ford, McDonald’s, EY, Pfizer, HCA, Subway, Boston Scientific, SC Johnson, Coke, Target and GE, as well as many small firms and start-ups. He brings the toolset and theories from all these experiences to each new relationship. With smaller firms, he has a goal to ‘democratize’ innovation methods and theories, to make them available more broadly.